This weekend DavePlays.co.uk made the long trip down to Coventry for the Multiplay Iseries Lan Festival, I52. It was an interesting experience with it being the first Insomnia I went to, but thanks to Ducky myself and Steve from ITK-Tech.com managed to snag some day tickets for the Saturday. Held for the second time at ..
I’m a few weeks behind on this I have to admit, but I have a penchant for playing games that are known to be terrible. I will admit the original Night Trap fits this category loosely as original reviews were pretty mixed when it came out and varied quite widely depending on the console you .. The RPCS3 emulator has been something I have been keeping an eye on over the past year, despite it being available for almost 6 years. The reason for this is because over these last few months there has been a massive amount of improvements to the software with the aim of improving compatibility and support ..
No one can deny that the 90s were definitory for the games we play today. But it is very likely few developers expected that the ideas that emerged then, in the era of arcade games and low-graphics, would still be going strong now. Games like Need for Speed, Gran Turismo, or even Mario Kart all ..
AKRacing are one of the world’s premier gaming chair manufacturers – their site even says so! They have been around for several years, and I believe were one of the first racing style, gaming chair manufacturers with very close ties to a number of eSports teams. 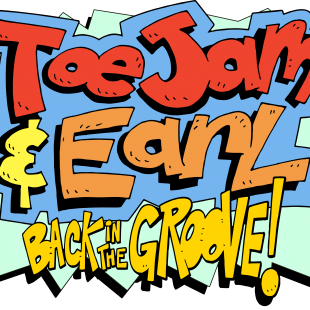 After much persistence on my part, the team over at ..
Nearly 3 years after the initial Kickstarter launch, ToeJam and Earl Back in the Groove! has an official release date of March 1st!! Another game that has that nostalgia factor powering it along, ToeJam and Earl (the original) is one of the funkiest games I have had the pleasure of playing. ToeJam and Earl: ..